Garage sale in Ramstore mall! From February 6th until February 11th 2018, all prices in Ramstor Mall shall be up to 70% off while the stores will offer its customers a wide selection of top brands items, high quality and great fun which will make your shopping a very enjoyable and valuable experience. 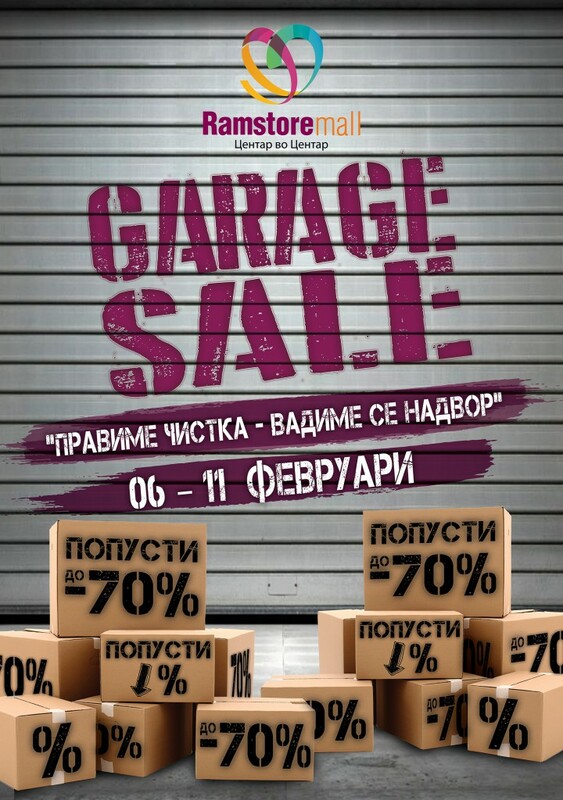 From February 6th until February 11th – Garage sale in Ramstor Mall!